Story mode picks up where Chrono Phantasma ends and does give a summary of the past events if you wish. This optional dialogue takes 30 minutes and there's a lot to take in, especially if you're new to the series. Characters, events, and other important facts are thrown at you one at a time in an adequate way but as a newcomer, I was swirling in confusion even after the summary. I'm certain if I try to describe it I would get specific information wrong. The story is told through a mix of animated cutscenes and stoic hand-drawn models using basic animations such as blinking and mouth movement told across 12 chapters. You occasionally fight using specific characters, which can be frustrating if you don't like a specific fighters style but the difficulty is forgiving enough that you don't need to be perfect. The biggest issue with the story is that it lacks an English dub option but if you want to skip the narrative and just jump into fighting a skip alternative is available. In addition to the story mode BlazBlue Centralfiction comes complete with optional modes. The classic options such as arcade and verses are available along with Speed Star which is a gauntlet of increasingly harder enemies, score attack, and Grim of Abyss which is a mixture of a gauntlet and RPG systems where you increase your fighter's power. Most players hoping to succeed will have to dedicate themselves to the tutorial mode. Arc System Work went above and beyond to ensure players are given every detail of how to play, and if you hope to take on harder opponents you're going to need to train a lot. If you need extra help a "Stylish" option is available that provides auto-combos but more experienced players will still be able to overpower players using this option. Each of the 36 characters has distinct fighting styles and tactics. Understanding them all requires a lot of patience and dedication, especially when facing against players. Knowing who is fast and tactical and opposed to a heavy hitter could mean failure and success. In addition, each character comes with a multitude of color options. 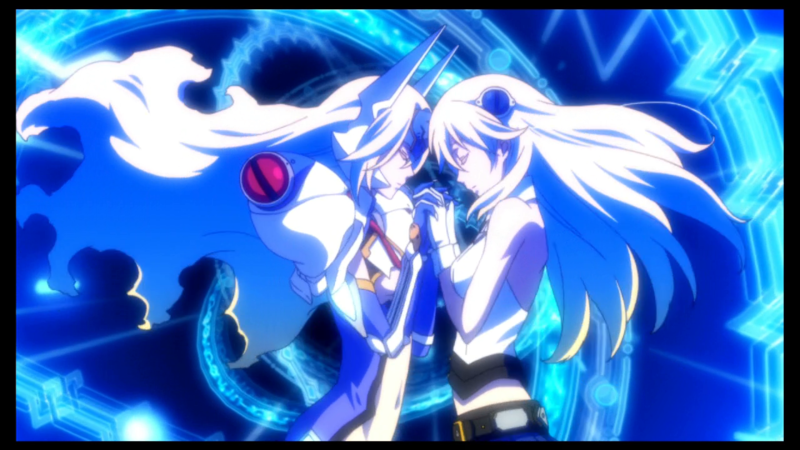 Graphically BlazBlue Centralfiction is pure eye candy. The character models and animations are outstanding, with artwork highlighting the various characters clearly showing how much passion went into each fighter. The stages share this level of quality with 2D and 3D visuals that help each area feel distinct coupled with complementary music that keeps the player engaged and excited. BlazBlue Centralfiction runs well regardless if you play in handheld or docked mode. While there are some sacrifices made to play in handheld mode such as more rigid character models but unless you really look it's unnoticeable. In addition, while playing in handheld mode is serviceable using the Joy Cons in more heated battles it is much harder due to the small thumbsticks and buttons. Those willing to dive into the game's harder battles will need to invest in a Pro Controller. BlazBlue Centralfiction isn't for everyone. The fighting mechanics and roster demand that the player trains for a significant amount of time and the lore can be confusing for newcomers. 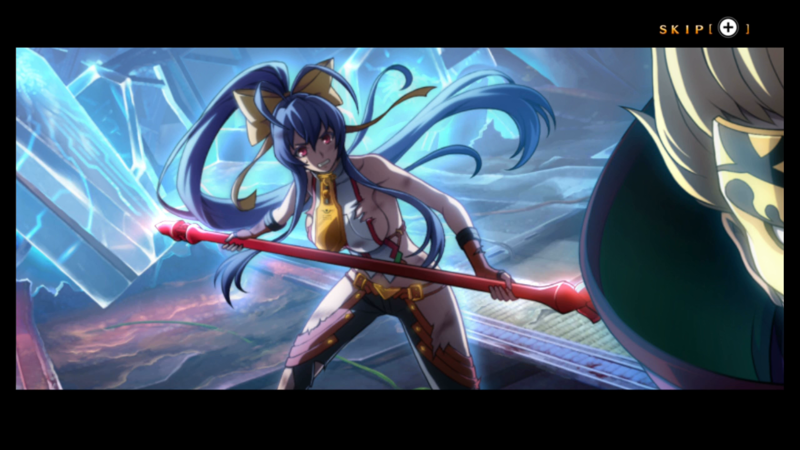 However, once you get into the flow of things BlazBlue Centralfiction opens up into an amazing fighter with some of the most colorful fighters in the genre. 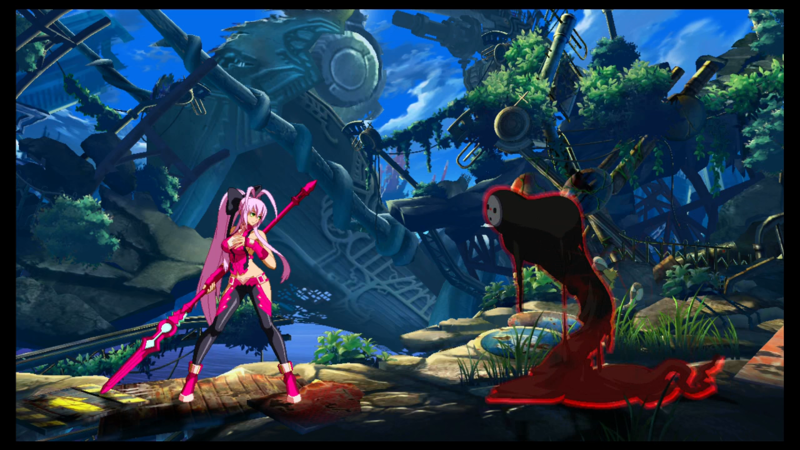 You'll get knocked down and beaten but those who are willing to put the time and effort into training will find a deeply challenging and stunning fighting game with BlazBlue Centralfiction.